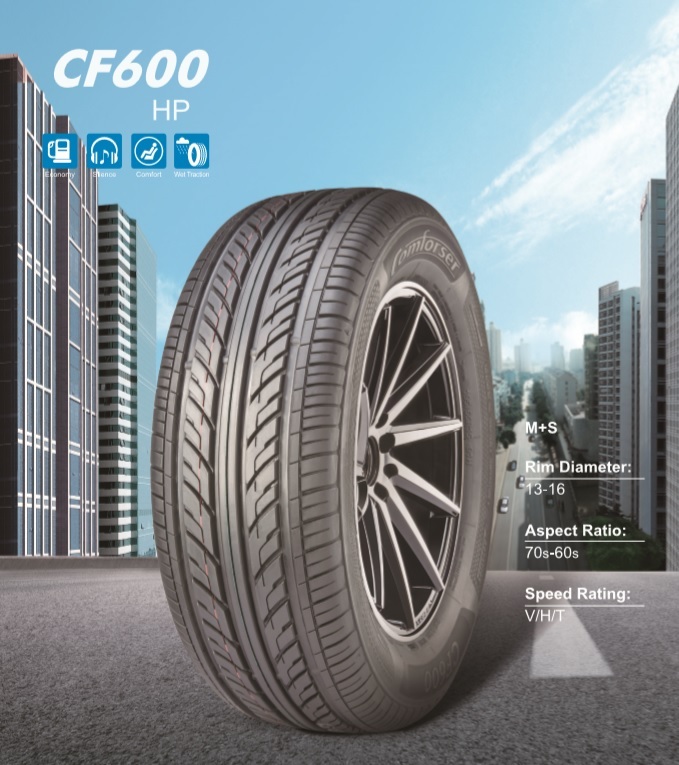 The CF600 line of high performance tires cover the 155-235 range of widths. An aggressive tread prevents hydroplaning at high speeds and a variable pitch design ensures a quiet ride. The directional silica tread prevents irregular wear and lower rolling resistance.